How to Make Cookies Using the Microwave - Live Free Creative Co. Put a frozen cookie ball into the microwave for 30 seconds it emerges an ACTUAL cookie, micro-baked to perfectly soft and gooey with even a little crispiness around the edge. 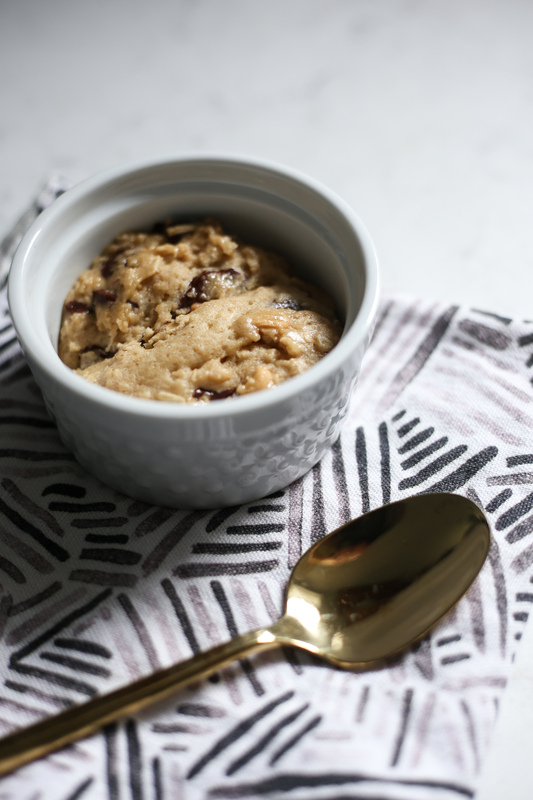 It doesn’t even matter what kind of cookie dough it is! Any type of frozen cookie dough, popped into the microwave makes a real cookie. How’s that for perfect? Freeze Your Cookie Dough, then Microwave a Cookie! Let me back up. I learned from Dave’s mother to not bake my entire batch of homemade cookies at once. Rather, I scoop out 6 or so to bake right away, then scoop the rest of the dough onto a separate cookie sheet. 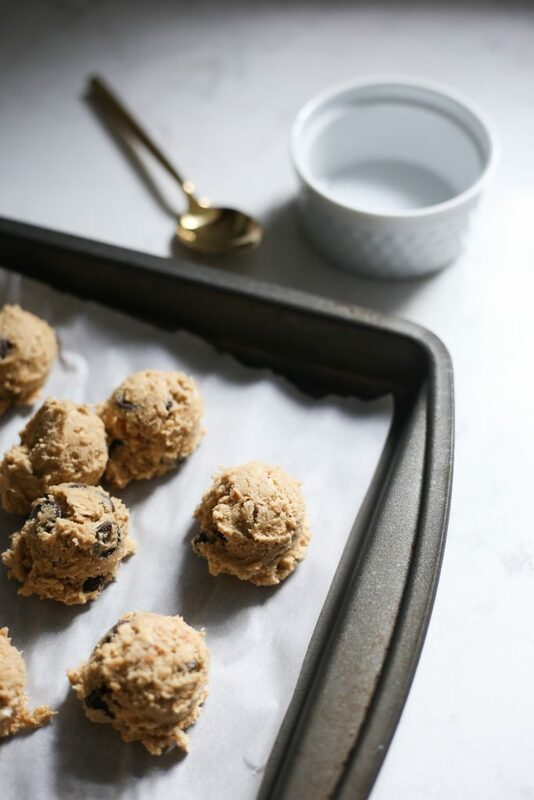 I cram as many cookie balls on there as I can get, because the sheet goes into the freezer until I remember it’s there (usually the next day) and can take the frozen cookie balls off and put them in a ziplock bag back in the freezer. We enjoy hot, homemade cookies whenever we want, without making new dough every day. Smart, eh? 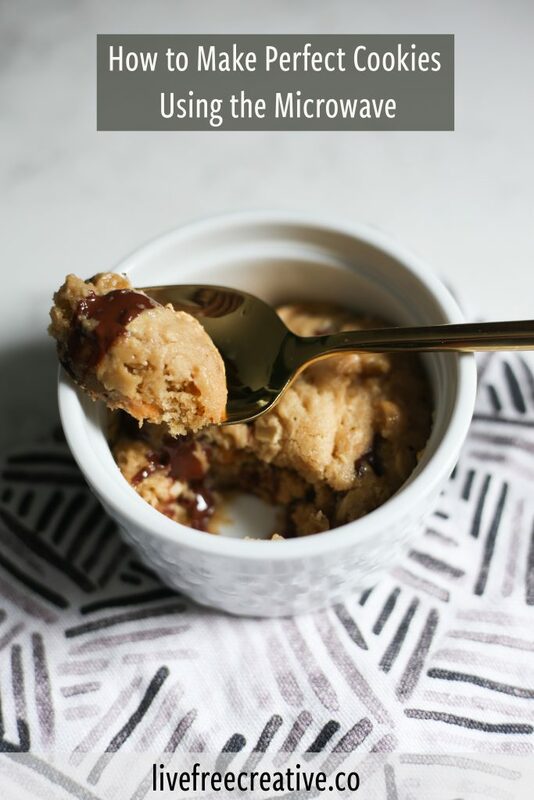 It goes without saying that we all often eat frozen cookie dough, because pre-heating the oven, then waiting the 12 minutes for gooey cookies is just not in the time-frame. The other day I was aware that Dave was fiddling with cookie dough in the kitchen, but I figured he was going to bake a few for us. He was…just not in the oven. He decided to test out a quick version in the microwave! The first test-time of two-minutes was a total flop. Think chocolate chip cookie emerges looking like a chocolate choclate chip cookie (and smelling like carbon.) Two minutes is too long. The next test time was 30 seconds, and the cookie emerged perfectly cooked-to-gooey, but more than just warmed-up dough. The bottom even gets a little crisp. It’s absolutely delicious. Through the years, I have used 30 seconds as my starting place. 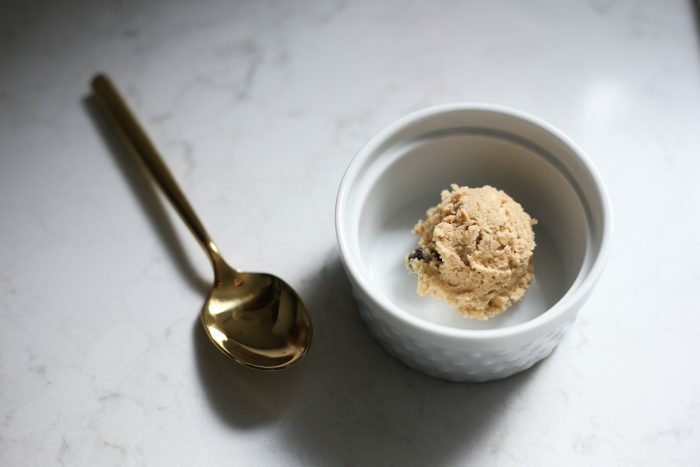 Sometimes, if I make an extra large scoop of cookie dough, it needs another ten or twenty seconds. But I always begin with 30 and go from there. 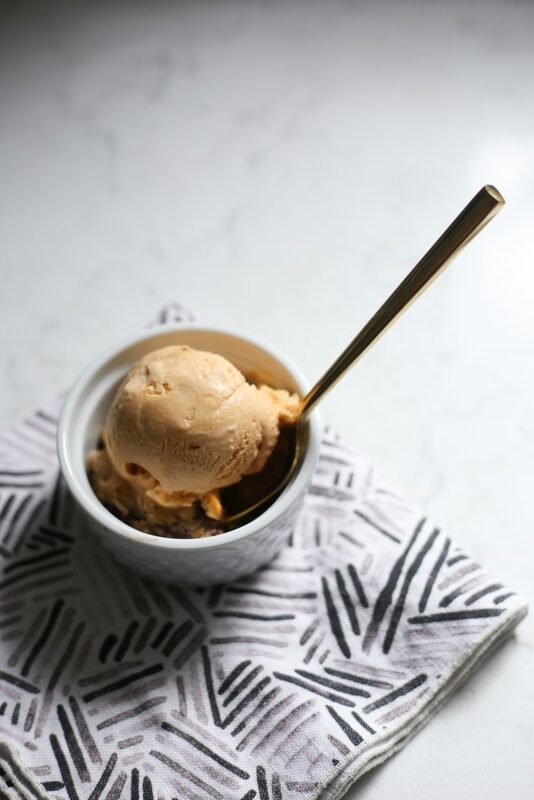 Add Ice Cream for a Perfect Treat! 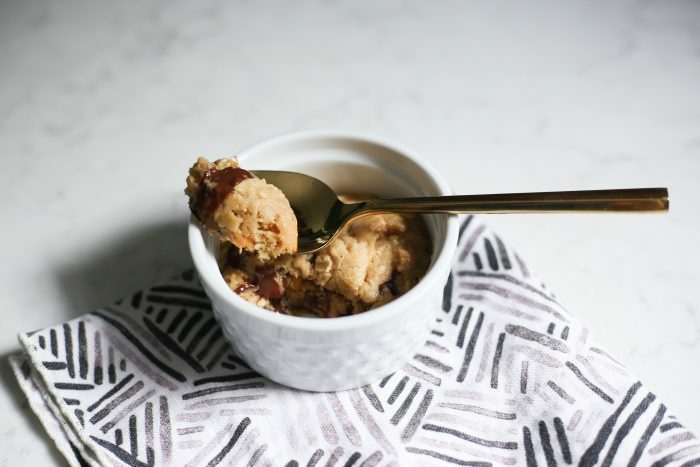 This may be silly, but the Microwaved Cookie Dough knowledge has sort of revolutionized dessert at our place. Now, we can make just one of these microwaved cookie dough balls with a scoop of ice cream on top and perfect. The whole system is practically like a diet. The Thirty Second Cookie Diet. Perfect. Sometimes the best things in life are the most simple. And you never have to ask yourself how to make cookies using the microwave again. Because now you know!